Above, a single red light fixture has statement appeal in a kitchenÂ by Molly Luetkemeyer. 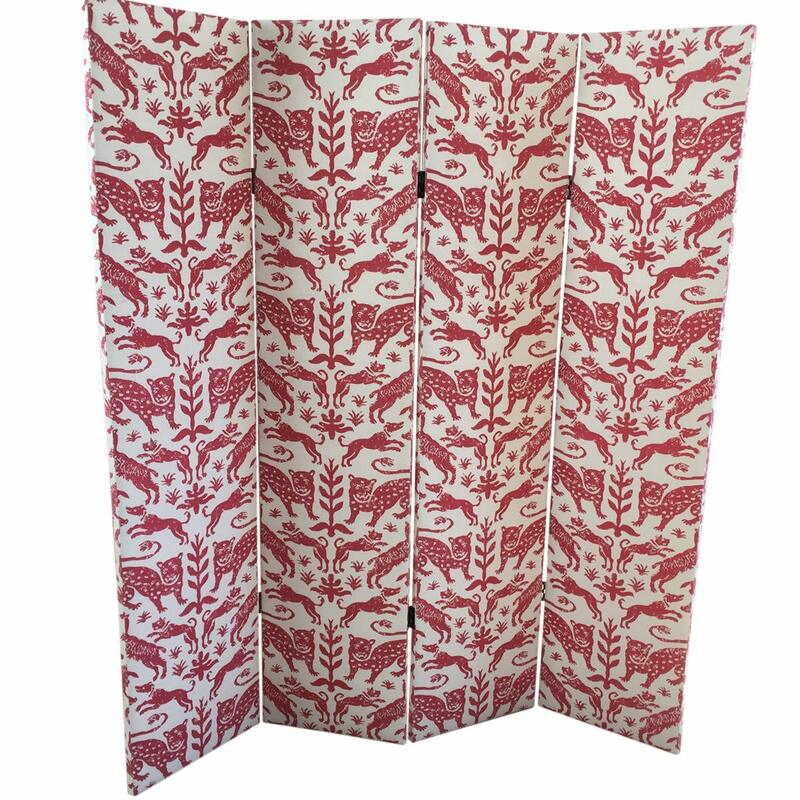 The â€œCustom Pintura Screen” curated by Joe Lucas is a great way to introduce red into your room. This playful pattern of wild animals and plants is done in a linen fabric. A four-panel screen, it could be used in an open-concept room to define an area, such as a bedroom or a playroom. Want to add excitement to an all-white bedroom or living room?Â The Cliff Young Ltd. â€œRed Angora Fur Rugâ€ will do just that. At nearly 9′ x 12′, this richly hued (and luxuriously textured) rug is the ultimate statement. Think bold with this â€œModern Red Leaning Wall Painting.” It features a grid pattern of blue on a red background. A stainless steel frame gives support to this artwork, allowing you to restÂ it against the wall. Use this piece in your entryway to create aÂ grand entrance. 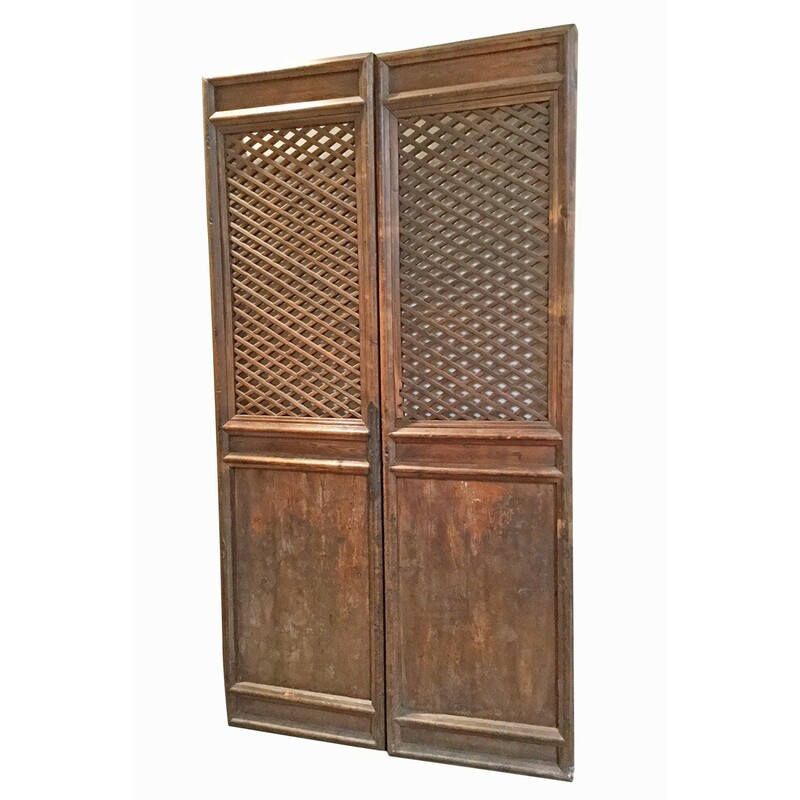 The “Allan Knight Antique Chinese Doors” offer something different and special to put on the wall at the end of your hallway.Â The faded red paint gives a subtle hint of color to these exceptional wooden doors, which date back to the 18th century. 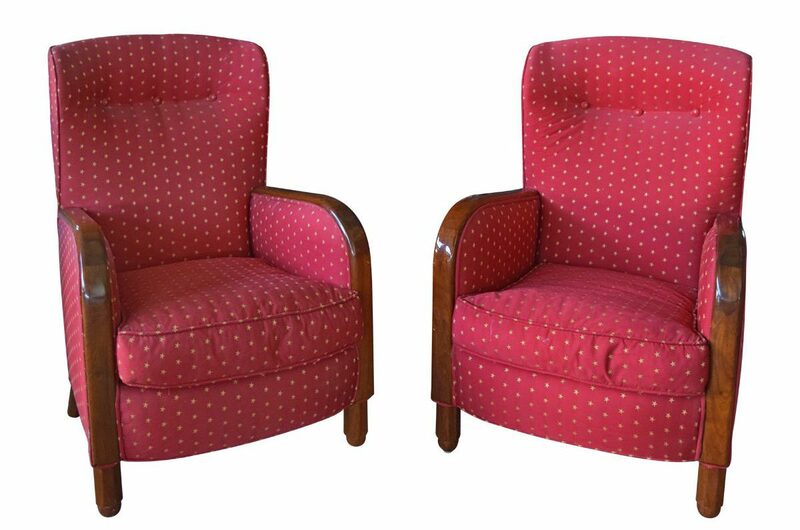 The â€œVintageÂ Art Deco Club Chairsâ€ curated by J. F. Chen are upholstered in a red star cotton blend fabric and have a walnut frame and feet. They are sold in a set of two, and would look lovely in your living room for additional seating. 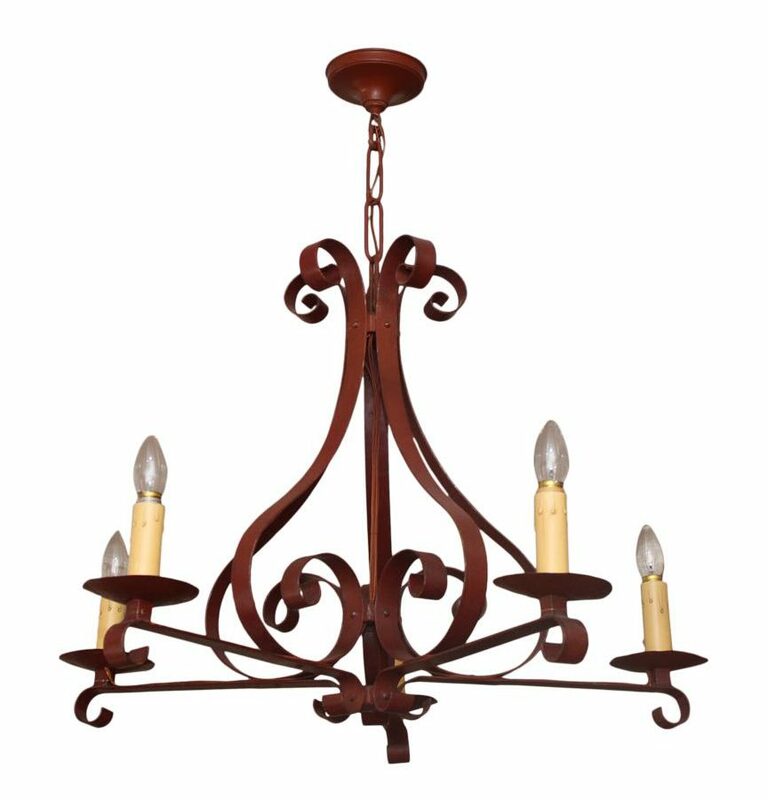 A great way to add a bit of red to your kitchen or dining room is with this â€œVintage French Painted Chandelier.” Hang it over your kitchen island or dining table for a pop of color. 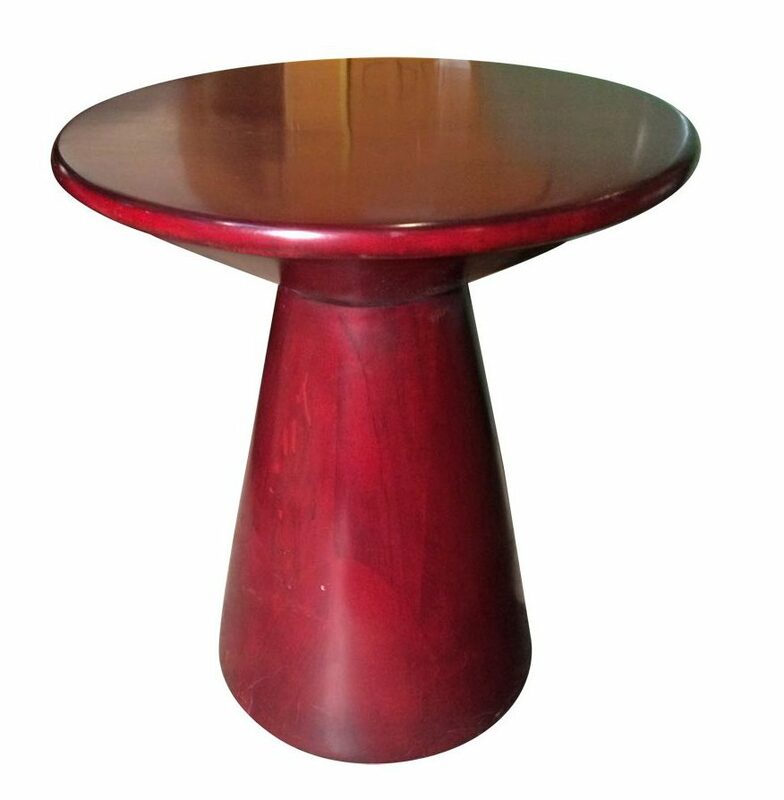 Introduce a bit of red between two occasional chairs with the “Swaim Accent Table withÂ Satin Finish.” Its top is the perfect size for setting your book or drink. We love sideboards not only for their storage, but for their versatility. The “Arte & Cuoio Triangolo Sideboard“Â can be used to display pottery, hold a television, or of course, buffet items. 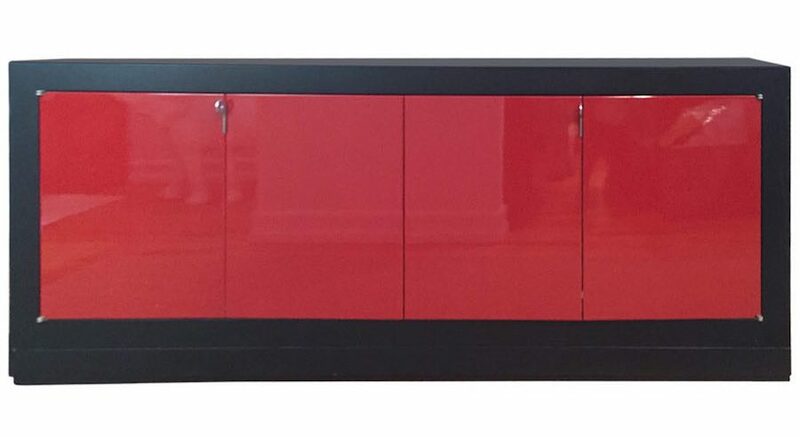 Its lacquered finish has a luxurious depth.